Family law is often an emotionally intense, complex, and tumultuous period of one’s life. 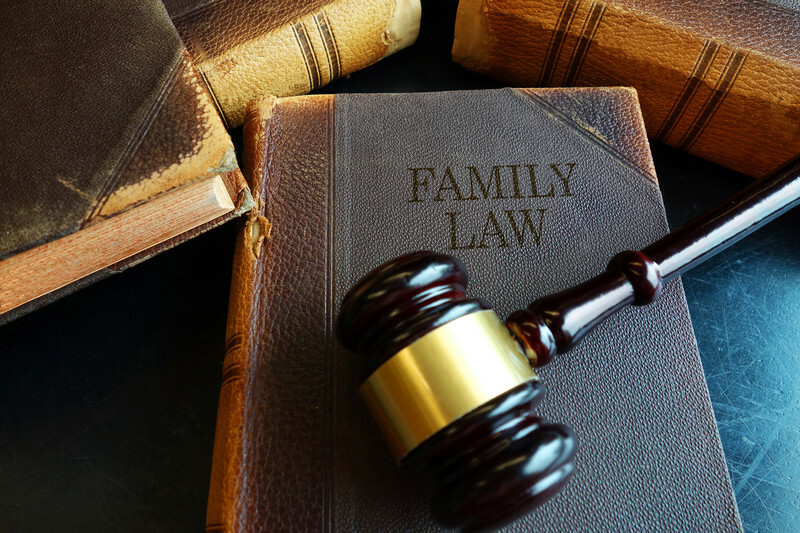 The Queck law team understands this and is committed to providing strong representation and common sense to assist you through your family law issues. Whether you’re dealing with divorce, or need advice in relation to child support or custody, our team is here to help guide you through your family law matter. Disputes regarding childcare and visitation are often the most intense and contentious issues a family faces during a separation or divorce. Every parent wants to maintain a positive relationship with their child and the threat of hurting that relationship is often what fuels venomous and lengthy custody battles. When it comes to your children, you want experienced lawyers known for generating fair and creative custody solutions. The Queck family law team uses a range of successful approaches to resolve custody and access issues. When going through divorce or separation, it is especially important to consider the parent-child relationship. Our team knows what works and what doesn’t, and we know how important it is to maintain your focus on your children during this time. Whether you require full-scale litigation or advice in negotiating amicably, Queck’s family lawyers can help you know your rights and options when maintaining your relationship and access to your child. Find out more about custody and access by speaking with a lawyer from Queck’s family law team. Our family lawyers at Queck Law Group offer a great deal of knowledge when resolving child support transfer issues with your former spouse or partner. Child support can be a stressful part of a divorce or separation, and one of the most common fears about child support is that one parent will be required to pay too much, or that the other will receive too little. Queck’s team is able to ensure that your children’s best interests remain protected, and can help you realize the best possible outcome by exploring strategies when handling special child-related expenses. When dealing with child support, it is important that the appropriate amounts are paid on time. Queck’s family law team can help you draft fair and thorough child support agreements, so your children will receive the care and financial support they may need. If you would like to learn more about child support, contact us, and you can request a consultation with one of our family lawyers. Separation and divorce are difficult, but you have rights and we will fight for them. It is often difficult to focus on moving forward, and making fundamental transitions in your life during these situations can be a challenge. Whether you’re worried about the division of family property, custody over children, or any other issue during your divorce, Queck’s team will advocate on your behalf and will consider your concerns. Whether in court, or negotiating across the table outside court, Queck’s family law team will advise you honestly and ensure your interests are a priority before you take any crucial steps in your divorce matter. Queck’s family law team understands that one of your primary concerns is to protect your financial position and future security. We are able to help you draft creative and fair agreements concerning family property, and take into account your unique circumstances. We are ready to answer your questions, and prepare you as you move forward. Find out more about family property division by arranging a consultation with one of our family lawyers. The law in Alberta distinguishes between rights for married couples and the rights of cohabiting/common-law couples. Whether you are married or cohabiting, Queck Law Group has the knowledgeable expertise to advise you of your rights. If you have more questions or would like to find out more, arrange a consultation with one of our family lawyers. A Prenuptial Agreement can also deal with issues relating to spousal support (or alimony). Some couples may also include in a Prenuptial Agreement such things as how finances are to be dealt with during the marriage etc. Usually, Prenuptial Agreements do not deal with issues relating to guardianship of children, parenting time, child support etc. The courts tend not to enforce such clauses in Prenuptial Agreements. It’s always best to be prepared, and at Queck, we draft prenuptial agreements so you can protect yourself and your rights in the event of divorce. Possession of the parties’ matrimonial home. Final separation agreements also typically include additional provisions whereby the parties agree that they will not advance further claims against each other in the future; with the exception of particular issues which are specifically referred to in the agreement as being subject to change or variation in the future. Queck’s family law team can draft appropriate parameters for your separation agreement, and help you resolve important issues like benefits and property issues. Spousal support is an important part of a divorce, and is not automatically considered by the courts. The Queck family law team has experience in handling spousal support issues, and can help you consider different strategies to create support solutions that realize the your financial needs. Many spousal support recipients are concerned about whether the support will be enough to continue living the way they’re accustomed to. For individuals who are providing spousal support, a common concern is that recipients of the support will become self-sufficient. Just like child support, it is important that spousal support is paid in full and on time. Whatever your concern, we are here to work on your behalf. Whether you are looking for a skilled negotiator, or someone to fight to protect your financial future, Queck’s family law team is here to work on your behalf and address your concerns so you can make informed choices. To learn more about spousal support, arrange for a consultation with one of Queck’s family lawyers. Mediation is a voluntary settlement process where parties work together to find solutions which work best for them. Everybody’s life is different, finding solutions and agreements that work for each individual can be difficult but can be more effective and more inexpensive than litigation. At its core, mediation is a without prejudice meeting wherein the parties are able to speak freely and honestly without having to have their words thrown back at them in Court (with the notable exception of statements which show children are at risk). Mediation is a very valuable tool for parties who want to limit costs and desire that the decisions being made in their lives are theirs. The agreements coming out of mediation are specifically tailored to the decisions of the parties and as such reflect what they want. An agreement reached in mediation is not necessarily binding on the parties and may require independent legal advice, especially where matrimonial property is at issue. Parties are always encouraged to consult with their counsel, if they have them, throughout the process. For more information please visit www.afms.ca and look at the frequently asked questions. Keep the power of your decisions in your own hands. Often in the court process, the power of decision making can be taken away from people. Collaborative Family Law looks to help parties reach solutions that effectively satisfy their interests and allow them to choose how they want to move forward in their life. At its foundation, Collaborative Family Law is the agreement between the parties to settle their matter(s) and their disputes without going to court. The Collaborative process is very useful in minimizing the negative impacts that the litigation model of family law can have of parties and their on-going relationship with each other. Effectively used the Collaborative Family Law process allows people to retain much more of the control over the decisions which can impact their lives. The Collaborative Law process requires full disclosure and follows the principles of interest-based negotiation which works to identify the needs and interests of each party and to generate options which will help the people involved find the solutions which work for them. Each party will retain their own Registered Collaborative Family Lawyer. Having collaboratively trained counsel involved ensures that each person has an advocate and that legal rights and obligations are considered. In the Collaborative process, the lawyer’s sole purpose is to assist the both of you to arrive at a settlement, custom tailored to the people involved. In Alberta, as in other jurisdictions, lawyers who practice Collaborative Law are designated as Registered Collaborative Family Lawyers and are members of associations that set guidelines for their members and the training required to offer their services as Collaborative lawyers. In our office, Jim Taylor is a Registered Collaborative Family Lawyer. For more information on the process, visit www.divorceseparation.ca.